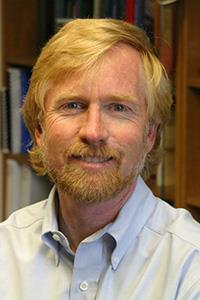 Dr. Tyler's areas of focus span the wide range of hydrology and environmental fluid dynamics. He is a Professor with the Department of Geological Sciences and Engineering and adjunct Professor in the Department of Civil and Environmental Engineering. His research is focused on water, solutes and energy fluxes in the subsurface, as well as their exchange into the atmosphere. He serves as the Director of the Centers for Transformative Environmental Sensing Programs (www.ctemps.org), a National Science Foundation supported instrument center focusing on the development of distributed fiber optic sensing and wireless sensing of environmental variables. He and his team of students and post-doctoral researchers are currently also studying the role of groundwater/surface water interactions in aquatic ecology, the quantitative assessment of root dynamics using micro-Computed X-ray Tomography (MCT), as well as the design and operation of salinity-gradient solar ponds coupled with membrane distillation for the development of low-cost desalination. He as published over 80 peer reviewed manuscripts and book chapters beginning with a focus on fractal approaches in porous media, arid region hydrogeology, variable density groundwater flow, micrometeorology and remote sensing. He is a Fellow of the Geological Society of America, the Soil Science Society of America and currently serves on the National Academy of Sciences Panel on Challenges and Opportunities in Hydrology and the Board of Directors of the Consortium for the Advancement of Hydrologic Sciences. Tyler has conducted research on land surface energy exchanges in the Atacama Desert of Chile and in Switzerland, developed paleoclimate response of desert vadose zone and aquifers, quantification of the role of convection on Antarctic lakes and studied the impact of the 2004 Asian tsunami on groundwater quality in Sri Lanka. He is a former editor for AGU's Water Resources Research, past Chair of the GSA's Hydrogeology Division and former Distinguished Darcy Lecturer.